Christian Richard writes from Triratna’s Paris Centre - the Centre Bouddhiste de l'Ile de France, with photographs of their ‘name change’ ceremony. During the ceremony Sandra, a mitra, "transferred" the light from the old name to the new one - you can see both represented on the shrine. 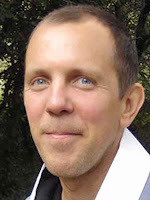 Check their programme on www.centrebouddhisteparis.org - and their extensive library of French Dharma texts available on the site. Juan Carlos Perianez from London (Private preceptor Saddhaloka) becomes Dayaruchi, 'He who is the splendor, light, brightness, beauty of sympathy, kindness, tenderness, compssion. Peter Kuklis from Cambridge (Private preceptor Rijumati) becomes Viryakumara - 'Prince of Energy dedicated to the good, to spiritual growth. The Public Preceptors were Satyaraja and Nagabodhi. Dharmachari Maitrin from Sweden is better-known in arts circles as the photographer Joakim Eneroth. He’s currently exhibiting a collection of photographs entitled ‘Swedish Red’ in the gallery space of art magazine Next Level in East London. “Eneroth's work has been exhibited internationally in dozens of solo and group shows. He is the recipient of numerous grants and awards and his works are held in private and institutional collections, including The Museum of Fine Arts, Houston and The Museum of Modern Art, Stockholm. The photo book Swedish Red is released in 2010. Joakim Eneroth lives and works in Stockholm”. The exhibition runs from 1 Jun - 18 Jul 2010, at 58 Hanbury Street, London E1 5JL and the opening times are Tuesday - Friday 12 - 6 pm and Saturday - Sunday 2 - 6 pm. “I have been a director of Windhorse for almost twenty-five years and the Managing Director for twenty-three of those years. Now I have decided to step down as Managing Director and pass that position on to Keturaja. I will remain as a Director, with my main responsibility being for buying, and with input into all the areas of the business that I currently input to. "Broadly speaking there are two reasons for making this change. It has been increasingly apparent over the last two to three year that more and more of the initiative and vision for the business is coming from Keturaja. While he hasn’t done everything himself, it is fair to say that he has played the leading role in what has proved to be a relatively smooth transition of W:E from an almost exclusively Buddhists-working-on-support business, to one of a harmonious mix of non-Buddhists and Buddhists, waged and supported. At the same time, we have made big strides in becoming more professional, and less chaotic, as befits a business our size, and he also led much of that. “So there is a definite sense in which my stepping down as MD is in part an acknowledgement of a change that has already happened, rather than a radical shift, and that is the first reason why we are doing it. “Secondly, it became clear to me last year that the business needs a vision for the next five to ten years. We have spent the past eighteen months or more in survival mode. This was very necessary, and in its way it was a vision and one that we collectively responded to very well. But it won’t do as a vision for the long-term future. “My personal assessment is that Keturaja is better able than me to mould and lead that new vision. Partly this is a matter of age and energy. I am 56 and feel more like resting on my laurels rather than energetically leading a dynamic new vision. Even if I did feel like doing it I think Keturaja would actually be better at it than I would. He is very thorough, consensual and clear, while at the same time being creative and imaginative, a quite rare combination of qualities. I have relied on him a lot over the years and he has not perhaps got as much credit for the successes of W:E as he has deserved. “I would like to emphasise that I am sticking around. I enjoy my work and I enjoy working here and with you. I am not leaving. I still have a lot to offer the business in terms of experience and practical knowledge, but I don’t quite have the right combination of qualities to give the business the leadership I think it needs at the moment. Keturaja will, no doubt, expand on what he thinks about all this elsewhere”. Tomorrow we’ll be printing some reflections by Keturaja, including his ten-point summary of Windhorse’s core ethical values and purpose. 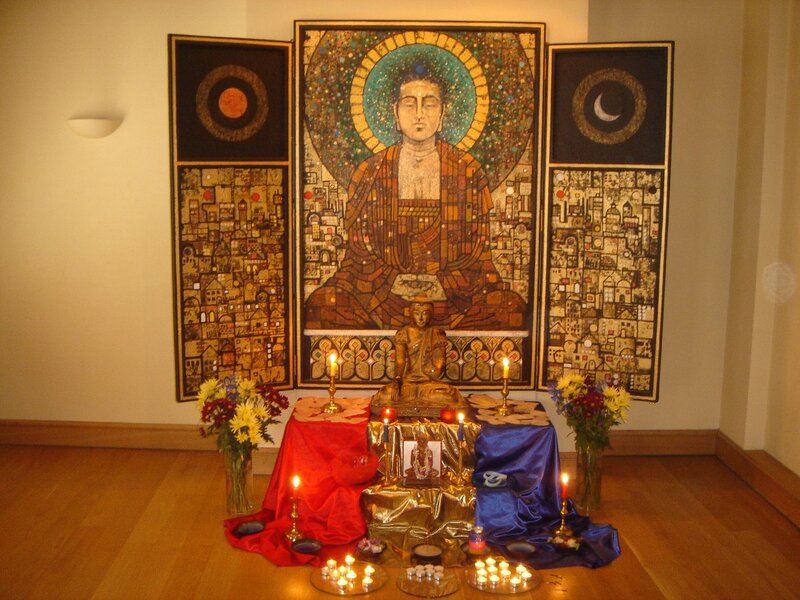 June 3rd saw the three small Triratna Buddhist Sanghas in the West of Ireland coming together to celebrate their fifth mitra ceremony, welcoming Pat Youell from Westport into their number. The Ballina Hotel provided the venue, Sinhaketu - founder and principle teacher for all groups - was the celebrant, and Lokabandhu from the Triratna Development team, who happened to be visiting, managed to video the proceedings. Pat joins approximately 10,000 Mitras around the world, including 2,000 in the UK and some 7,000 in India. Triratna activities in the West of Ireland are held weekly at Belmullet, Ballina, and Westport. 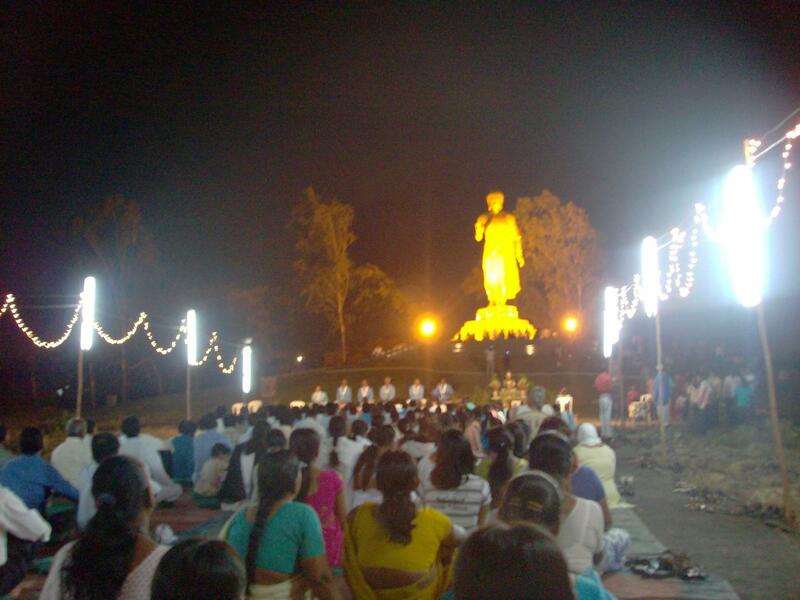 “The training of our VIIIth Batch of students has been concluded with the Buddha Jayanti Festival held from 25th May to 27th May at Nagaloka. On that occasion 57 persons became Dhamma Mitras, including 24 male and 17 female trainees who were reaching the end of their training. “Certificates to mark their successful completion of the DhammaSekhiya (Dhamma Training) course were distributed in the farewell ceremony to the VIIIth Batch trainees held on 28th May. 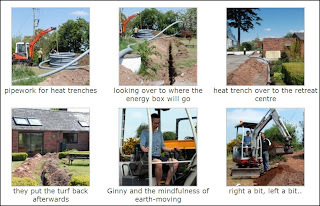 “I am sending the photos for posting in Triratna News. I request you to help publish this news. More details of Nagaloka's work are available on their website at www.nagaloka.org. Every year they accept approximately 120 young men and women from all over India for a year's intensive training in Buddhism and social work: over 400 graduates now comprise an all-India network of young Dhamma activists. More photos are coming in from the ‘name change’ ceremonies of Triratna Centres around the world. 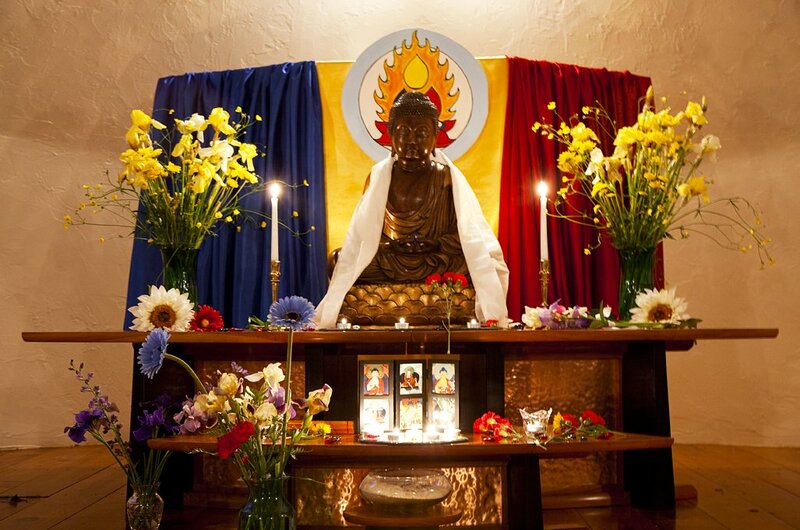 Here’s examples from the special shrines at Aryaloka in New Hampshire, and the UK's Norwich Buddhist Centre. More welcome! News is just in from Buddhafield of an All-Night Puja planned for their upcoming Buddhafield Festival next month, to include ritual, chanting and meditation, all hosted by veteran puja-leader Dhiramati. All are welcome - so long as you’ve got your festival ticket - for what promises to be a magical, mythical adventure! “I’m doing this to raise at least £500 to go to the Buddhafield Frog Mill land appeal. See my fundraising page at www.justgiving.com/dhiramati and come and support me through the night. “Actually this is just one of 150 fundraising activities Buddhafield is hoping to organise before the end of the year - the plan is to get 150 people to take up the challenge and raise £200 each in creative and exciting ways. We would LOVE to fully own our land at Frog Mill by the end of 2010. Our goal of £35,000 raised in this way is really achievable - but we need your help. She’s referring to Taraloka’s Sustainable Energy Project, which has been in the planning stages for around two years, ever since she started gathering data to work out Taraloka’s carbon footprint and becoming enthused by the possibilities for ‘greening’ Taraloka. 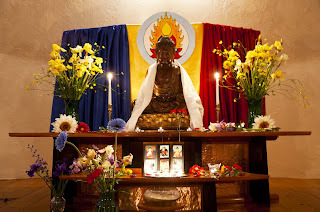 On the 8th June 2010 the following sixteen women were ordained at Akashavana, the Triratna Buddhist Community's retreat centre in the Spanish mountains. Two versions of each name are provided below: First is the proper Sanskrit (or Pali) spelling of the name, given in romanized script with the necessary diacritical marks indicated in parentheses; (this is the actual or 'real' version of the name). Second is the recommended westernisation, which requires no diacritical marks but may often be spelled somewhat differently in order to better reflect the name's pronunciation in the West. “'What is our fundamental philosophical position? 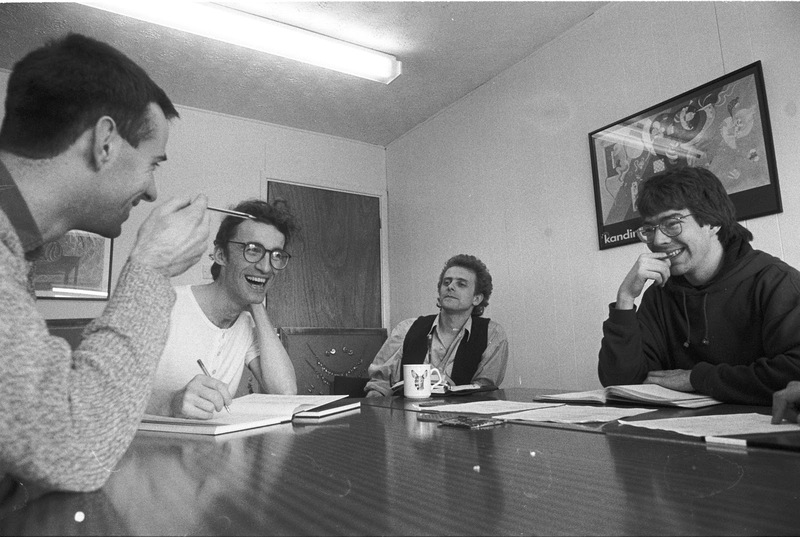 ', mused Sangharakshita during a meeting of senior members of the Triratna Order in the 1980's. I was struck by his reflective tone – and the fact that he gave no answer: this was work in progress. "Without interrogating the notion 'fundamental philosophical position' too closely, it broadly corresponds in this context to the Buddhist term 'samyag-dṛṣṭi' or 'Right View' – 'Perfect Vision' in Sangharakshita's translation. 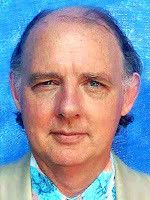 Over his many years of teaching, Sangharakshita has expounded Right View in many ways, using the terminology and perspectives of a wide range of historical Buddhist schools and translating key terms variously, borrowing from the philosophical, psychological, poetic, and even religious vocabulary of the West. He has also formed his own distinctive language for communicating the Buddha's view of life, in such phrases as the 'Higher Evolution' or the 'Cosmic Going for Refuge'. The remarkable richness and diversity of what he has said and written is certainly, besides its luminous clarity, one of the most attractive features of the Triratna Community, the movement he has founded, giving it a particularly broad appeal and deep scope. However, it also leaves potential problems. Consistency may indeed be a foolish hobgoblin, but inconsistency can lead to misunderstanding and confusion. "We need to consider the whole grand sweep of Sangharakshita's presentation carefully if we are to discern a fundamental philosophical position. But this is not an easy task. While carrying it out, there are two main points to be born in mind, because they account for some of the apparent inconsistency. "First, his exposition of one or other Buddhist tradition should not necessarily be taken for approval of it. He has often found himself elucidating teachings so that his disciples can appreciate the Buddhist background from which they have sprung. In doing so, he has engaged his considerable powers of empathy with those points of view and has tried to understand them on their own terms, thereby helping us get inside them. Indeed, I have heard him do the same for works of literature and even for the doctrines of other religions. However, his making intelligible an aspect of the Buddhist tradition, even revealing its spiritual efficacy, does not necessarily mean that he considers it useful in its own right or that it should become part of the Triratna Community's currency. "Second, we must take into account Sangharakshita's own development as a practitioner and as a teacher. Throughout his life he has been deepening his understanding of the Dharma and clarifying his expression of it. Although there is striking continuity in his understanding from his earliest writings to the present day, there is nonetheless a discernible evolution over time: it is possible to recognise the gradual emergence of an integral core that is distinctive to him. Sangharakshita has himself described the unfolding of the core of that core in his The History of My Going for Refuge, and similar development can be seen elsewhere. "We must then always read his earlier teachings in the light of his later. This does not by any means require us to discard his earlier material – for instance, burning any book in which he uses terminology borrowed from the German Idealists, like 'The Absolute', which he now eschews. Nor yet does it require us to cut out the entire Mahayana, because he now finds some of its metaphysicising problematically reified, despite his earlier use of it. What it implies is that we should have a good understanding of his most recent perspective when we look at his earlier work and read or listen to it accordingly. And, of course, his disciples should take great care in how they themselves use that earlier material in their own practice. When they teach the Dharma they should ensure that the basic position is clear and, if they choose to refer to other, more ambiguous material, they should make it obvious that they are doing so for particular purposes. "Even when all this is taken into account, Sangharakshita's question of thirty or so years ago still requires an answer. What is the Triratna Community's fundamental philosophical position? Insofar as the movement is founded upon Sangharakshita's particular presentation of the Dharma, that requires us to know his fundamental philosophical position. What are we to make of his various ways of speaking about Right View, whether those derived from tradition or of his own coinage? I have been especially concerned that those of us who are his disciples hear something definitive from him about such problematic terms as 'The Absolute', 'The Unconditioned', 'The Transcendental', etc., as well as 'Cosmic Going for Refuge' etc. So in March this year I had a series of conversations with him in which we discussed his latest thinking about these matters. "I recorded our sessions, intending to transcribe and edit them, however Sangharakshita preferred that I should write them up in my own words, since the topic requires a greater precision than he can martial in a spoken exchange - the deterioration of his sight not permitting him to commit his thought to paper himself. This I have done in what follows. I have tried to expound what Sangharakshita said to me at that time, not only on the basis of what he then said but also what I have found elsewhere in his work that seems relevant, and I have expanded upon his thought in my own words. What I have written has been carefully checked by Sangharakshita and can be taken as accurately representing his thought – as accurately as is possible in another's words and style". I wonder if you would put this about on the Order Members secret ethernet communication system - and any other buddhist network you might be on? the cutest cuddliest safest most supportive lovely place to try something out great crowds lovely people positively family friendly yet daring and controversial in a peaceful kind of way... sort of festival! Candidates will probably have buddhist leanings! and I would like to make sure that those who do - get to hear about the opportunity! The theme of the Festival this year is A Force for Good in the World - as ever, there’ll be a vast array of teachings, talks, workshops, music, kids activities, ceremonies and much much more on offer - we’ll try and bring you news of the line-up as it reaches us. At nearly 3,000 people it’s Triratna’s largest event outside India and consistently attracts rave reviews -whatever the weather! 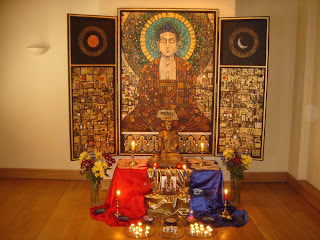 More photos from last year are on-line on the Triratna Photos site. 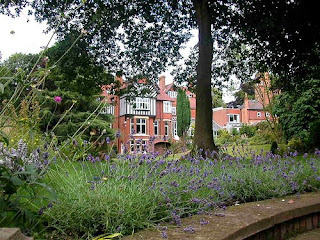 A full time, intensive, six month Dharma training course is being developed at Madhyamaloka in Birmingham. 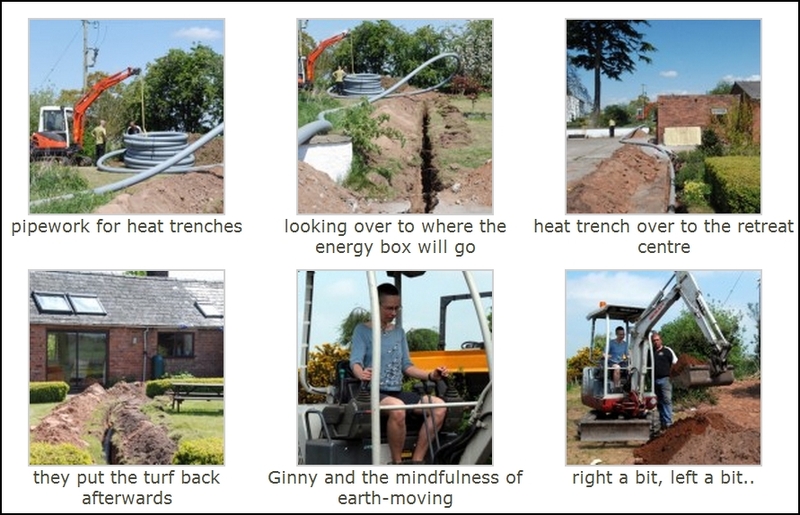 We aim to offer a thorough grounding in the basics of Triratna Buddhism. The course will include several retreats with Subhuti, as well as seminars with a number of the most experienced teachers in the Order. We will concentrate on Sangharakshita’s exposition of the Dharma, as well as looking at the Pali Canon, and other useful developments in Buddhist history. The course will be for men, preferably young ones, though a serious interest in Dharma training is our main requirement. Participants will be accommodated in (comfortable) dormitory style accommodation at Madhyamaloka. Places will be limited. The course will start in early to mid January and run until around the end of June. It is not yet fully costed, but we will try to keep it as cheap as possible - less than £2000 per person, and hopefully not more than £1500. 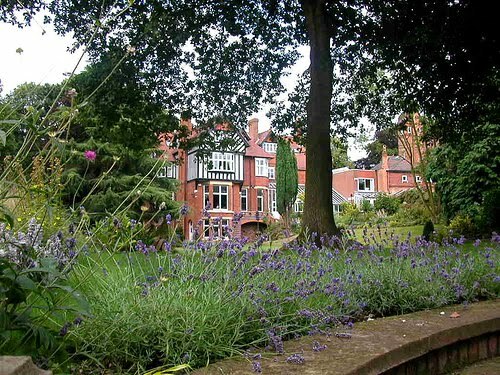 Windhorse:evolution have offered a generous package for those who need funding, whereby students would work at Windhorse for four months running up to Christmas, and would be housed in a community, in exchange for a substantial contribution to the funding of the course. If you are interested in this package please get in contact as soon as possible. There may also be opportunities to earn extra money within the course working with Sanghadeva. On Saturday June 5th Chris Eyer, from Triratna’s ‘Rocky Mountain Buddhist Center’ in Missoula Montana, was ordained as Sarananda, meaning "He who delights in the firm heartwood (of reality)". 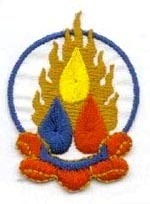 Dhammarati was the Preceptor. Meanwhile Padmasuri reports that the private ordinations of all 16 women attending the 3-month Ordination course at Akasavana in Spain have been taking place between 31st May and 4th June. The Public Ordinations are starting today, mid-morning on 8th June, local Spanish time. We’ll bring you their names as soon as they are released. Sarananda brings the Order to a total of 1,641 members world-wide. The last night of the FWBO/Triratna International Retreat saw a special puja to mark the changing of the name from ‘Friends of the Western Buddhist Order’ to ‘Triratna Buddhist Community’. Thanks once again to the great work of ClearVision and VideoSangha, we’re delighted to be able to bring you this video from Padmavajra in which he introduces the new name - and much more... Along the way he explains how the Movement came to have two names - being known as ‘Trailokya Bauddha Mahasangha Sahayaka Gana’, or TBMSG, in India. He concludes with a moving description of the Thousand-Armed Avalokitesvara as the symbol for the Order and its work in the world. Essential viewing for anyone interested in Triratna! And thanks once again to ClearVision and VideoSangha for making this possible. As the Triratna International retreat draws to its close today we’re delighted to be able to bring you the third of the three major talks from the retreat. Saddhanandi, chairwoman of Taraloka, delivered a series of moving reflections around the theme of Sangha. Last night saw Padmavajra leading a ‘Name Change Puja’, as the FWBO officially changed to the Triratna Buddhist Community, and we hope to bring you his opening remarks soon.